An Elegant Jade Glass Arrow Award on Matching Jade Base. Gift box included. Facets on both the front and back of this sophisticated diamond design reflect the color at the top of the base up through the clear acrylic, creating highlights in this jewel of an award. The black acrylic base provides a sturdy and elegant foundation for the large personalization area. 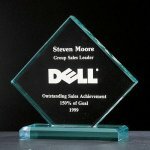 Polished acrylic offers value in a majestic award design. 1" thick acrylic. Blue 5.25" x 6-3/4" x 1"
Blue 5.25" x 7-3/4" x 1"
Blue 5.25" x 8-3/4" x 1"
5.25" x 8.75" x 1"
Includes 3 lines of engraving. Each additional line is $1.00. This is a Special Order item - Please call for details. 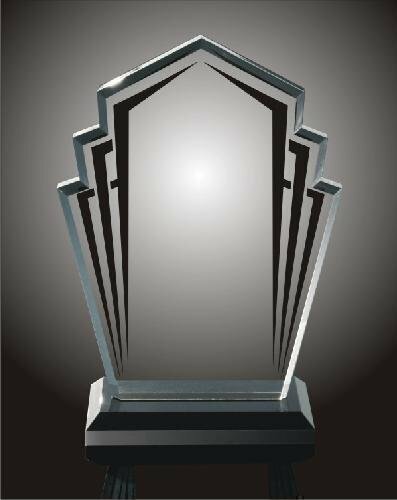 Multiple facets reflect the color at the top of the base up through the clear acrylic, creating highlights in this distinctively beautiful award. The black acrylic base provides a sturdy and elegant foundation for the large personalization area. 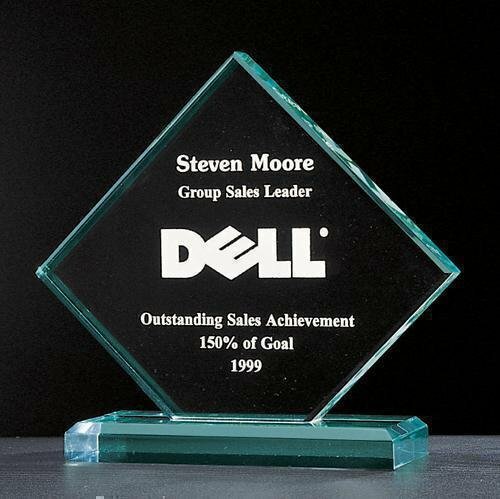 Polished acrylic offers value in an exquisite award design. 1" thick acrylic. Blue 6" x 8" x 1"
Blue 6" x 9" x 1"